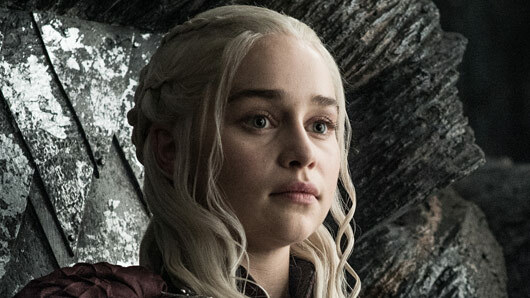 Emilia Clark doesn’t think TV is ready for Game of Thrones season 8. The last season ended on a cliffhanger when the wall dividing men and White Walkers came crashing down. Hero Jon Snow (Kit Harington) attempted to build an army to fight them but struggled to convince others the threat was real. Meanwhile, Queen Daenerys Targaryen (Clarke) is seeking vengeance after the death of her dragon Viserion by the Night King. Speaking to Access at the HBO Golden Globe Awards afterparty, a reporter asked Clarke if fans were ready for season eight. Clarke also reacted to the news that season eight wouldn’t air until 2019, promising light at the end of the tunnel. There’s a lot to absorb in the new season, according to Clarke, who shared her reaction to reading the scripts.